Chief Justice Tani G. Cantil-Sakauye presented her annual State of the Judiciary Address to the Legislature on March 19, 2018. Women now represent 35 percent of superior court judges, compared to 27 percent in 2006, continuing a steady upward trend. More than a decade ago, LASC helped launch the program known today as National Adoption Day. Since then, the court has continued to raise awareness about thousands of children in foster care. 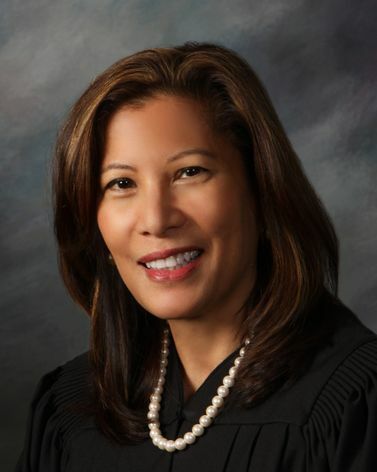 A workgroup established by Chief Justice Tani G. Cantil-Sakauye to study California’s bail system issued a slate of recommendations Tuesday, saying money bail should be replaced by a risk-based assessment and supervision program that determines whether to jail defendants before trial based on their threat to public safety and their likelihood of making a court appearance. Highlights from the Supreme Court's 2016–2017 court year, bookended by the appointment of Jorge E. Navarrete as the 27th Court Administrator and Clerk and the first Latino to hold that position; and by the retirement of Associate Justice Kathryn Mickle Werdegar after 23 years on the court and a 55-year career in public service. Chief Justice Cantil-Sakauye joins Governor Brown, Senator Hertzberg and Assemblymember Bonta in a commitment to cooperate on reforms. Chief Justice's statement released on fiscal year 2017-2018 Budget. Appointment of seven judicial officers from state and federal courts named to the Power of Democracy Steering Committee. Video with transcript of the Chief Justice's 2017 State of the Judiciary presented on Mar 27, 2017. Dear Attorney General Sessions and Secretary Kelly: As Chief Justice of California responsible for the safe and fair delivery of justice in our state, I am deeply concerned about reports from some of our trial courts that immigration agents appear to be stalking undocumented immigrants in our courthouses to make arrests.